Stockholm is located at about 59.32 degrees North (latitude) and 18.06 degrees East (longitude). Located on the east coast of Sweden at the mouth of Lake Malaren, Stockholm, the capital of Sweden, is a city built on water. 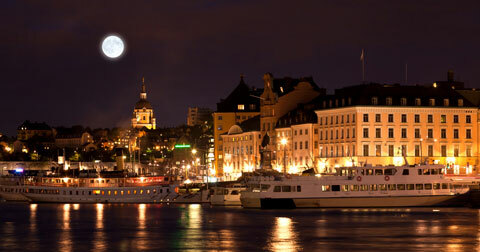 There are 24,000 islands that make up Stockholm, all of which are connected by a vast number of bridges. While the cityscape of Stockholm is stunning, the views from the city of the ancient forests of Djurgarden Island contribute to the city's natural beauty. Many of the city's most famous buildings are located in what is considered the Old City of Stockholm, and date back to the 1600s. Among these landmarks are the House of the Nobility, the Oxenstierna Palais, and the Tessin Palais. Other structures are even older, such as Saint Nikolai's Cathedral, which was built in the 13th century and is the church where Swedish rulers are crowned. This area still retains a medieval street plan, and many of the houses can still be seen in their original colors. For example, buildings from the 17th century are typically red, while those from the 18th century are yellow. More recent buildings are typically off-white or grey. 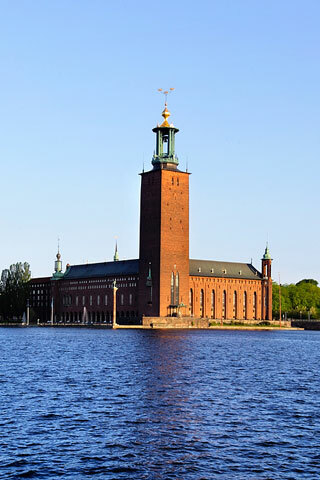 Stockholm's Royal Palace, which is the largest royal palace in the world, is one of the city's main attractions. In addition to holding this distinction, the Royal Palace was designed by some of the world's most well regarded artists and artisans, and is considered quite magnificent. Stockholm is also home to the world's oldest open air museum. Skansen allows visitors to experience Sweden as they wander among old farmhouses, workplaces, and manor houses that are typical of past and current history. A large zoo that features wolves, wolverines, reindeer, bears, and elk is also featured at the museum. Those who want to see a panoramic view of Stockholm can do so from the observation deck in the Kaknastornet, Stockholm's tallest tower. On a clear day the observation deck, which is 508 feet tall, allows visitors to see as much as 37 miles in the distance, including the entire city as well as over the waterways and into the surrounding suburbs. 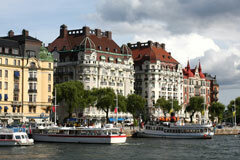 For more information about Stockholm, visit this official Stockholm web page.